Bob Foote, senior pastor of Grace Community Church of Huber Heights, Ohio, has run an open gym at Grace for more than 10 years. The goal was to be an avenue for the community into the church. Over the years, Foote and his leadership team noticed a gulf: getting young men into a church building was difficult enough, let alone getting them into church on a Sunday morning. A year and a half ago, Foote and his ministry partner, Joe Horine, a retired civil servant who was looking for something significant to do for Jesus, became the primary leaders of BasketBall Church (BBC) (both members of Grace Community) decided to change that. 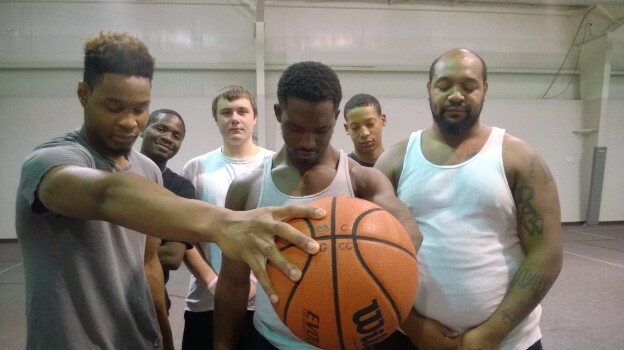 After much prayer and discussion, they decided to bring Sunday morning church to the young men: by planting a basketball church. This was not an easy paradigm to shift. The definition of “church” is deeply rooted in cultural expectations, so they had quite a bit of work ahead of them. For them, it meant giving up on the notion that the Friday meeting was a bridge into the “real church” that meets on Sundays, and instead seeing BBC as a functioning church in of itself. It meant agreeing that that doing life together meant being involved in men’s lives beyond Fridays. It meant building a leadership team among the believing attenders, and finding ample support and participation from people used to more conventional church settings. BBC uses the discipleship model on multiple levels, with Foote and Horine pouring into the leadership team, who in turn entrust and support them by reaching others who come to play basketball. Though the effective size is where Foote wants it to be — around 25, the vision for BBC is ever-expanding, with hopes for multiplying in the future if God opens those doors. For now, though, the focus is on BBC at Huber Heights, nurturing and enriching the community there. Click here to send Pastor Foote a letter of encouragement, and visit the BBC Facebook page for a taste of the ministry.